Despite big investment in big data, less than a third of companies are connecting analytics to action. A major factor is lack of trust. Finding relevant data assets isn’t easy, and when you do find data that seems useful, it can be hard to trust without context. Is this data up to date? Where did the numbers come from? Why is there a similar chart that points to a very different conclusion? 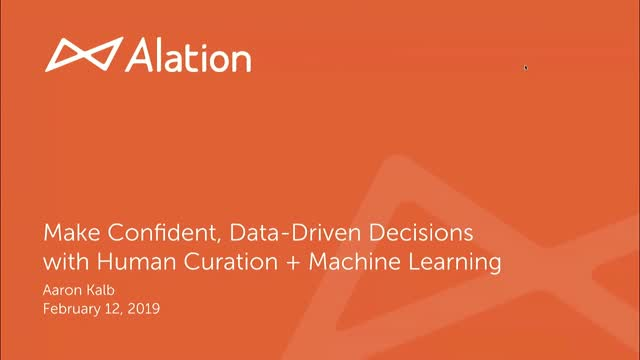 By combining human collaboration with machine learning recommendations, a machine learning data catalog can create the foundation for confident data driven decision making by adding context and transparency.